In 2014 I took part in Tallinn Fashion Week together with Mattis Meekler, a young fashion designer. 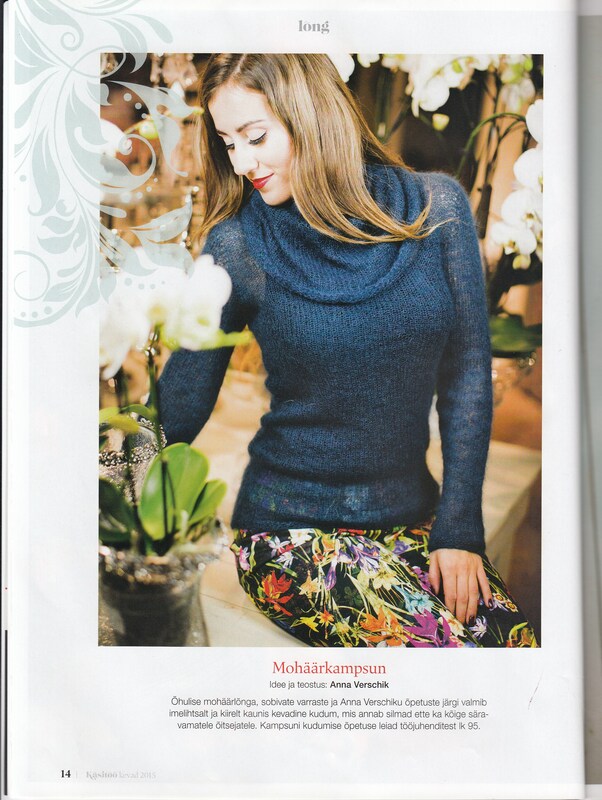 Two patterns were published in the Estonian crafts magazine Käsitöö (Spring 2015). Finally, I have the photos from the magazine! I like better the studio photos taken by Meeli Laidvee. For both the top and the sweater I used mohair with silk (Kid Silk Drops in the former and Kid Silk Austermann in the latter case). 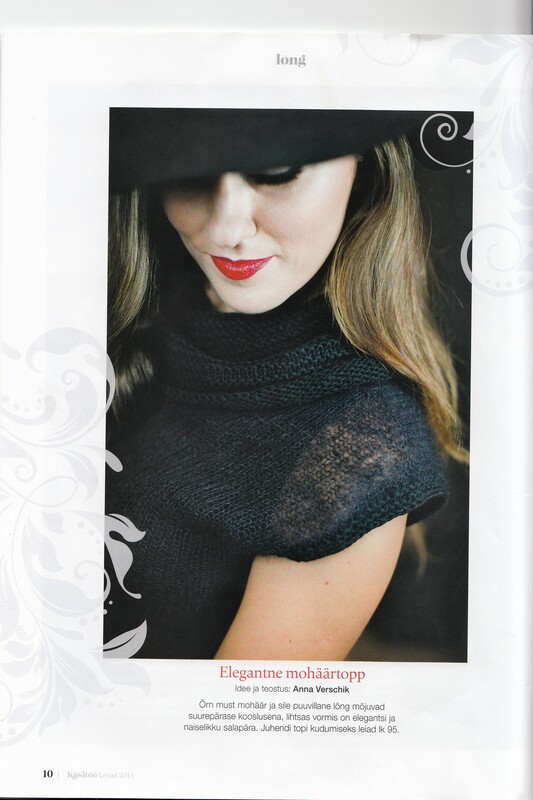 The collar of the top is from Cotton Merino by Drops. 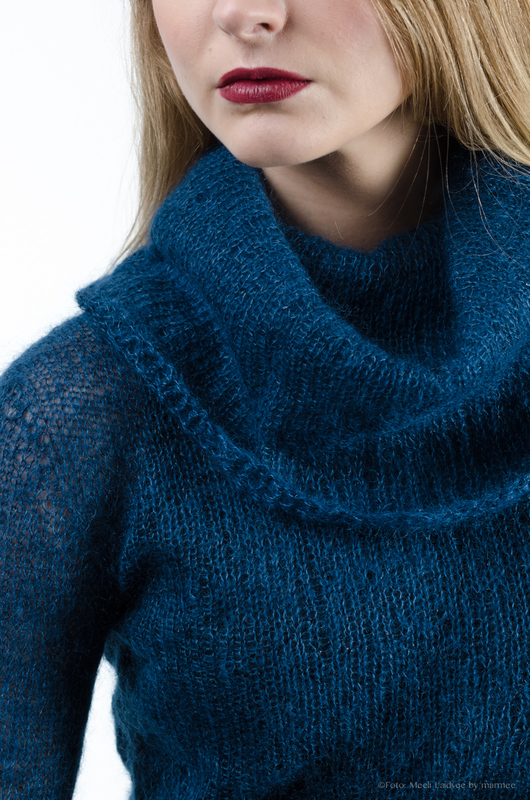 Both knits are seamless and topdown. This entry was posted in Enthusiasms, Knitting, Paid Patterns and tagged Artemis Adornments, exciting, Kasitoo, patterns, published, Tallinn Fashion Week. Bookmark the permalink. I also prefer Meeli Laidvee’s studio photos, I guess as a knitter you want to see as many details as possible.